My early view on world progress was governed by what I was told at the dinner table most nights - “finish your dinner; kids in China and Africa are starving.” This common parental refrain was from an earlier perspective that there were two types of countries: industrialized and developing. In just a single generation, it's safe to say that the world is no longer us and them, as the data on virtually every metric of progress shows amazing improvement among developing nations, many of which are rapidly catching up and achieving a standard of living that is far better than what they previously experience. Despite this, when people are asked if the world is getting better, worse or about the same, the majority say things are getting worse . The facts about poverty, infant mortality, education of females and other indicators of progress will challenge your assumptions about much of what is reported on the news. In 1966, half of the world’s population suffered from extreme poverty, living on less than $2 per day. By 2017, the rate of extreme poverty worldwide has dropped by 80% while the number of people on this planet more than doubled. When divided across four levels of income, most of the world exists in the middle two levels, living on daily income between $2 and $32. While the US is at the top level, it is neither the wealthiest nor the healthiest country. This compelling read is an ally in combating the negativity inherent in our 24-hour news cycle. Except for the revered CBS Sunday Morning program, it's hard to get good news! Immediate access to information has not led to improved accuracy but rather serves to trigger our own instincts…one reason most people believe things are getting worse. Factfulness helps you avoid the drama and focus on the data. It helps one upgrade their worldview and appreciate that while bad things still happen, the world has become a much better place to live overall. I challenge you to take 30 seconds and see this animation showing income level versus life expectancy for every country in the world and how it has changed over the last 200 years. Before he passed away in 2017, Roesling served as an advisor to the UN and World Health Organization, lecturing with the data he has compiled that speaks truth to what's really going on. What surprised him is how even the “experts” succumb to the same triggers just like most of us; it’s scary to think that government agencies make decisions on foreign aid based on the same biases that we have as ordinary citizens. Roesling’s legacy lives on in this book (published after his death and with the help of his son and daughter-in-law) and via easy-to-access tools to help teach children (and adults) how people around the world really live. Visit Dollar Street , where people around the world post pictures of how they live, access water, cook food, and get to work. It’s both eye opening and helpful, if only to appreciate how fortunate we are to live in Level 4. This book has helped sharpen my own critical thinking skills, including what charitable efforts to support. We are constantly bombarded with media that proclaims to be factual but often turns out not to be so. It can be overwhelming at times, and I hope that sharing this book and what it offers will similarly be of value to you. Our world today is flooded with media that leads us to reflexively take sides and fail to consider a different point of view. We would do well to calm down, take a deep breath, and just figure out how to get along. 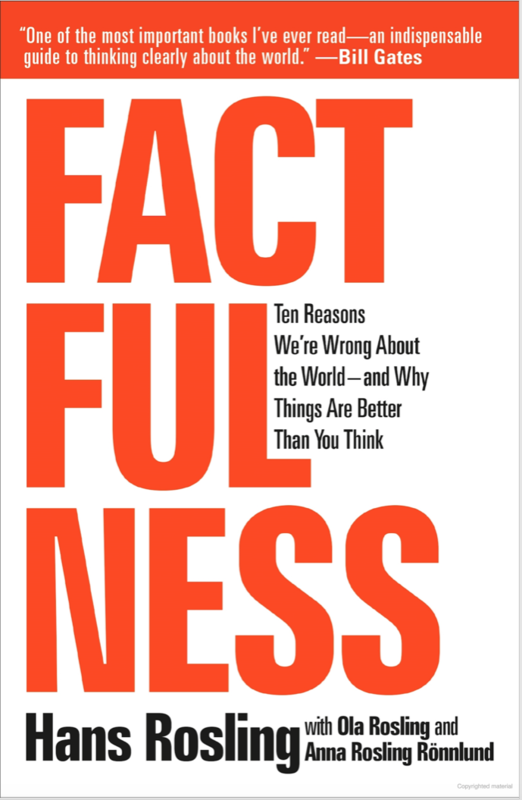 Just like mindfulness, factfulness may just help us get there. 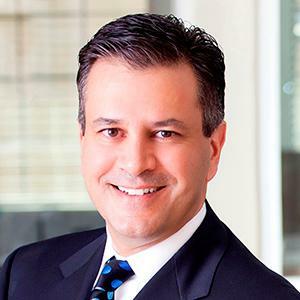 Shareef Mahdavi has devoted his career to helping doctors enhance their practices through technology, patient experience, and better financial outcomes. TeeTime provides answers to specific pain points within medical practices, offering advice and solutions from companies that have been reviewed and evaluated by SM2 Strategic. Click here to sign up for future issues of TeeTime!